Meru Cabs was one of the first companies to launch metered "Radio cabs" in India under its brand "Meru. 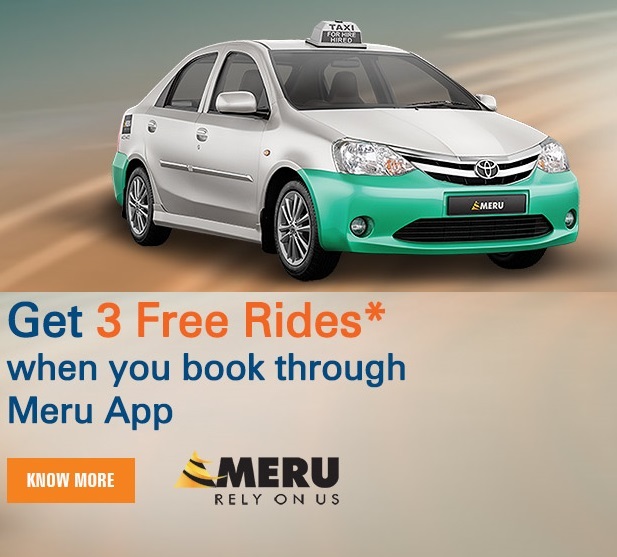 "​ Meru cab has come up with an offer in which you can get 3 free rides worth Rs.150 each when booking through the Meru Cabs App. Click on 'DOWNLOAD NOW' to visit offer page. Now use your ICICI Bank Credit/ Debit Card or Net Banking to book a Meru Cab.